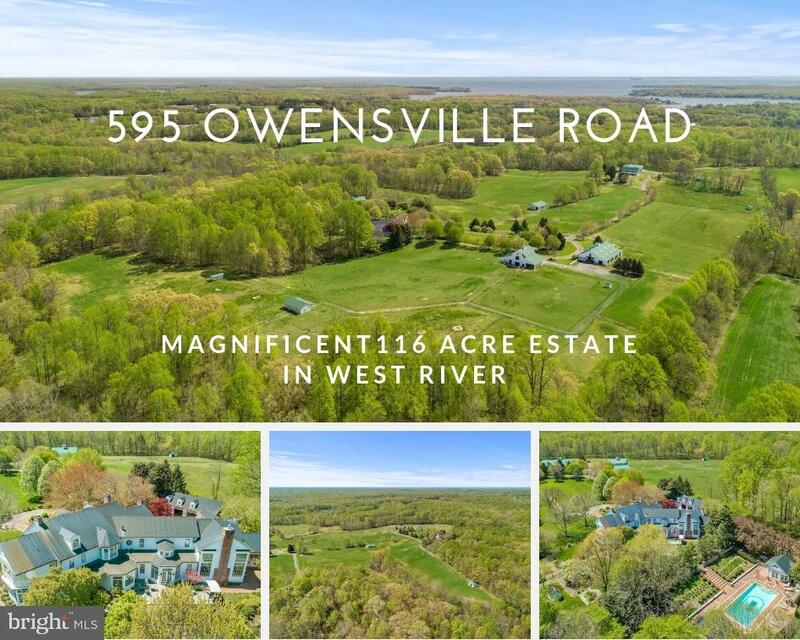 All West River homes currently listed for sale in West River as of 04/21/2019 are shown below. You can change the search criteria at any time by pressing the 'Change Search' button below. If you have any questions or you would like more information about any West River homes for sale or other West River real estate, please contact us and one of our knowledgeable West River REALTORS® would be pleased to assist you. "SPECTACULAR timelessly classic custom estate boasting 13000+ sqft & flooded w/natural light! Chef's kitchen, richly paneled 2 story great rm w/loft, sitting rms, breathtaking solarium w/radiant heat floors, sunroom, 7 fireplaces, main lvl guest suite * 3 fully fin lvls * Elevator * Pool & pool house * Caretaker cottage * Multiple outbldgs, barns & vet room(see FARM remarks) * By Appointment Only *"
"SPECTACULAR timelessly classic custom estate boasting 13000+ sq ft & flooded w/natural light! Chef's kitchen, richly paneled 2 story great rm w/loft, sitting rms, breathtaking solarium w/radiant heat floors, sunroon, 7 fireplaces, main lvl guest suite * 3 fully fin lvls * Elevator * Pool & pool house * Caretaker cottage * Multiple outbldgs, barns & vet room(see FARM remarks) * By Appointment Only"
"REDUCED and MOTIVATED SELLERS for this 25 Acre WATERFRONT, fields for corn, hay or general grazing, HORSES, cattle, goats, etc. Large Barn suits well for active and productive farming. Quiet and secluded, offers a large country kitchen, water front access and more. Manor House with Guest/Tenant/or Rental included. Add'l House can be built plus pool!In Historic Preservation. Some farm equipment conveys with property." "REDUCED AND MOTIVATED!! 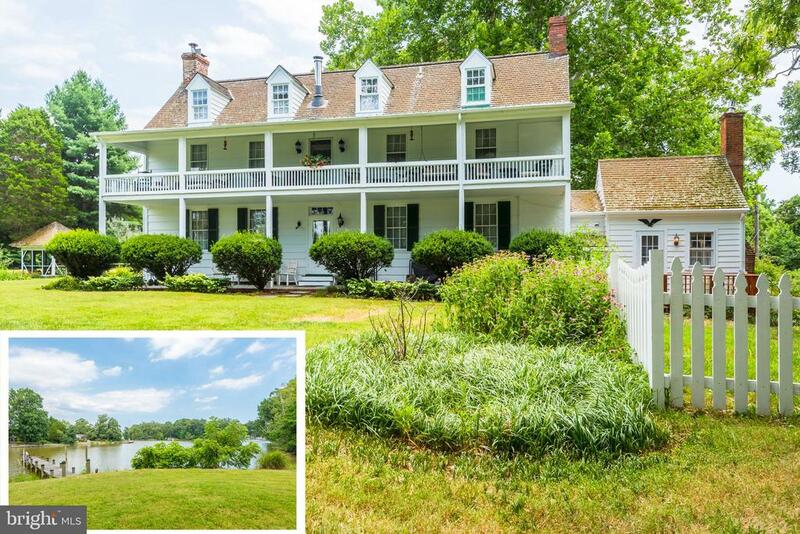 !TWENTY-FIVE ACRES of WATERFRONT for this SENSATIONAL historical ~Norman's Retreat~ with Manor House and Guest House located within minutes of Annapolis. Zoned agriculture, a pastoral WATERFRONT setting allowing for farming, horses, entertainment and more. Guest House ideal for farm manager, family, guests and rental w/3 bedrooms, 1 bath and sun-room. Add'l House can be built plus pool! Minutes to Annapolis, DC, VA"
"Imagine starting every morning with an unobstructed view of the sun rising over beautiful West River. 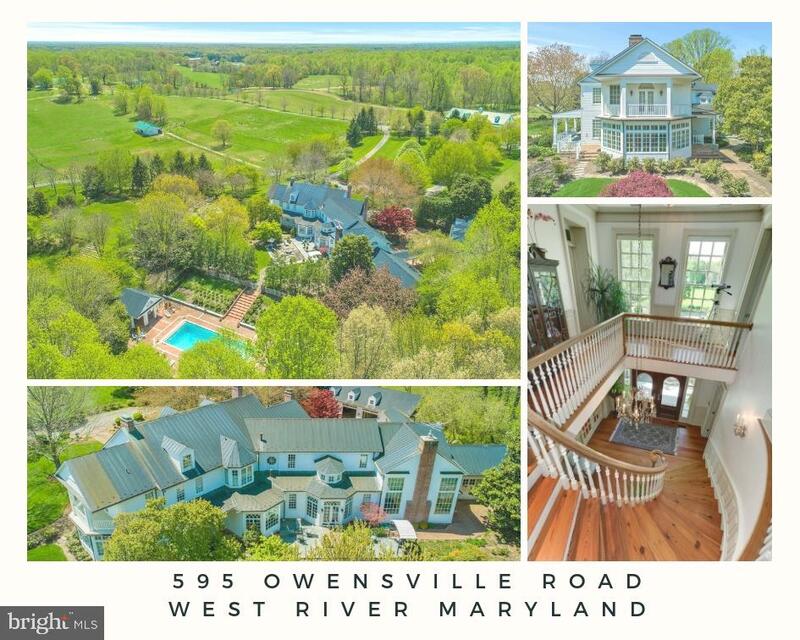 This home boasts a stunning waterfront view spanning 100~ and is only minutes to the Chesapeake Bay. The view is truly breathtaking. But views aren~t the only highlight of this home. The 200~ long, private pier offers deep water with three lifts; one large boat lift, two smaller boat lifts; kayak launch; electric including 50 amp wiring; flood light and walk lights. Also, a fish cleaning sink station! This property offers a level yard with a 3 car detached garage (40x28), one bay used as a workshop. The garage features heat and water.Inside the home you~ll find an updated kitchen featuring silestone tops, tile flooring, new refrigerator and recess lighting. Off the kitchen is a sunroom overlooking the breathtaking water views and a patio off the sunroom for that~s perfect for outdoor entertaining. The family room has hardwood floors and a stone gas fireplace; dining room has hardwood floors with a bay window overlooking the water; all three bedrooms have hardwood floors; two cedar closets; central vac; master bedroom has en-suite with walk in tile shower and walk in closet.The lower level has tons of potential for finished living space. It currently is partially finished with a laundry room, an office, a full bathroom, exercise room and plenty of storage room. Additional house features abound. The roof is only 5 years old; two zoned heat systems; maintenance free brick exterior; newer Andersen windows; gutter guards; water softener; and 5500 watt house generator." "Rare opportunity to own a brand new waterfront home in West River! 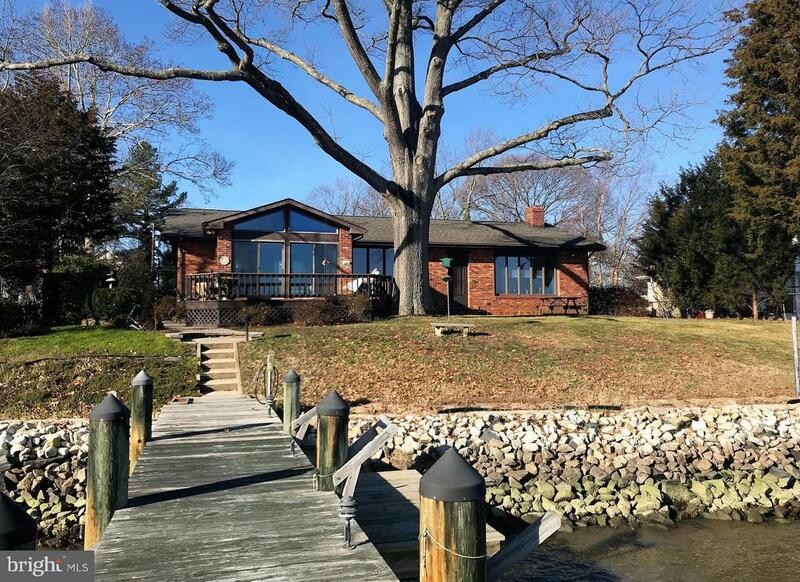 This gorgeous 4 bedroom, 2.5 Bath Cape Cod sits on almost 2 acres of secluded waterfront on Smith's Creek right off of the West River. The main level features an open concept family room and kitchen with panoramic views of the water. A perfectly oriented covered porch allows for 180 degrees of water view. The gourmet kitchen will feature high end finishes with an island and stainless steel appliances. A dream main level master suite with water views boasts a spa-like on suite and massive walk in closet. 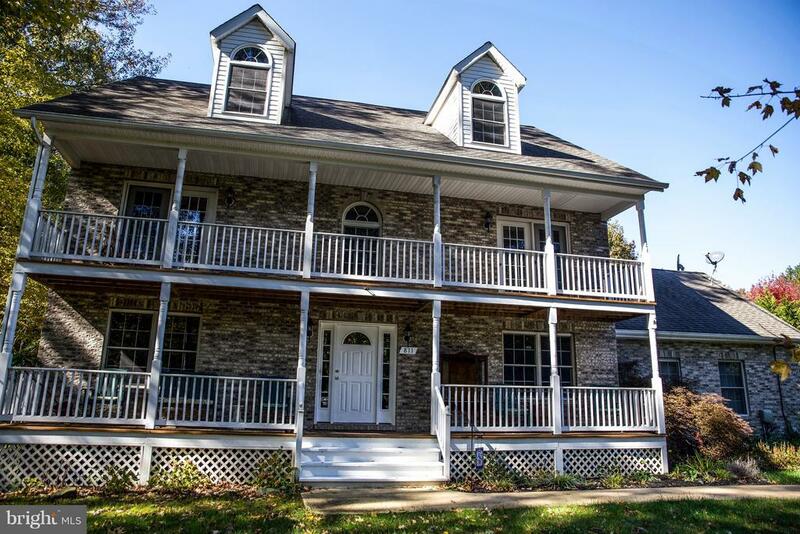 Upstairs features 3 large bedrooms, loft, full bath, and two large porches (the rear porch overlooking the creek). Back downstairs off of the kitchen is a large mud room and powder room. A breezeway off the mud room connects to a 3 car detached garage, featuring a separate living area connected by outside staircase. Estimated delivery early Spring 2019. Buyer customization still available! Don't miss out on this rare opportunity!" "Here~s what luxury looks like! The Hawthorne makes relaxation the priority in a plan that provides versatility in the manner you choose. Company coming? The open layout creates an easy, welcoming feel with formal and informal dining areas, a gourmet kitchen with an infinity island perfect for entertaining, huge walk-in pantry and tons of storage space (check out the drop zone on the way in from the garage). This plan features a three-car garage which can be modified to provide a main level multi-generation space with options for office/hobby, bedroom or bed/studio space. A beautifully-detailed coffered ceiling treatment draws the eye up in the great room. Every bedroom is a suite with the master suite offering a luxurious walk-in shower, free-standing soaking tub, double vanities, and extremely generous closet space. This standard 4 bedroom home can grow to 6 bedrooms. Add a loft, elevator, game room, recreation room, and exercise/theater space in the lower level to complement your lifestyle needs." 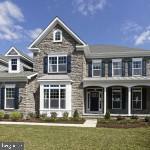 "Elegant exteriors with numerous architectural details lend a sophisticated aura to this home. Amenities abound inside, including a gourmet-appointed island kitchen, flex space, formal living and dining rooms, dramatic 2-story great room and library. An optional conservatory, kitchen sunroom and in-law suite can be added to the main level. Note the elegant master suite featuring a private sitting area, opt. two-sided fireplace, dual walk-in closets and deluxe en-suite with customization options. Extend the master suite with an optional retreat providing valuable bonus space. Three family bedrooms, each with a private bath and walk-in closet complete the second level. An optional fifth bedroom with bath is available. Your lower level offers space for further customization with a spacious recreation room, media area and den space based on your needs and desires." "Upon entering this home, you will be greeted by a two-story foyer. The first floor features a study, living room that opens directly to a dining room, a kitchen with center island and eat-in breakfast area and a spacious step-down family room. 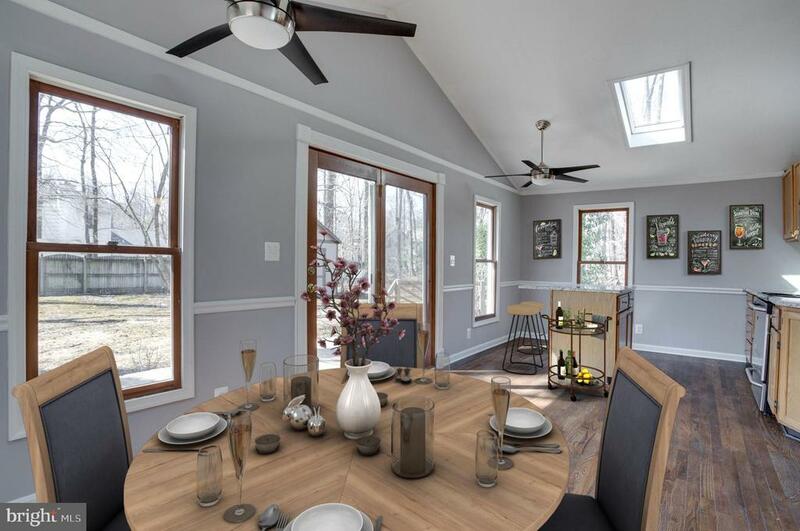 Add space by finishing a sunroom off your kitchen. 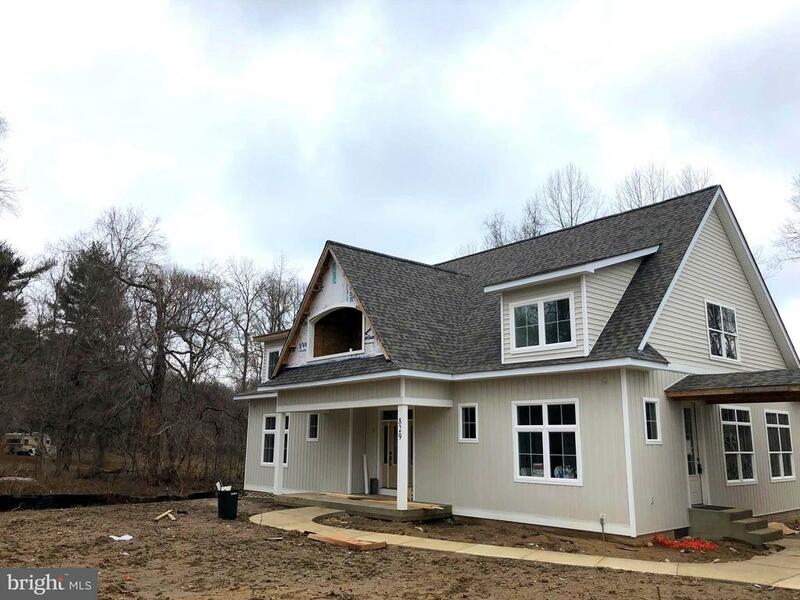 The second floor is home to a grand master suite complete with a spacious bedroom, separate 13~ x 14~ sitting area, luxury master bath, and two walk-in closets. There are also three additional bedrooms, a full bath and a laundry room on this floor. Need more room? The lower level features numerous areas you can finish to meet your needs ~ recreation room, fifth bedroom with ensuite, media, exercise room and more." "Charming little cottage with great water views, in the best of locations on West River! Get in your boat and tootle over to Galesville's waterfront restaurants or West River Sailing Club. Wednesday evenings, Spring, Summer and Fall bring out spinnaker and non-spinnaker sailboats for racing. Pier completely replaced in 2005, beautiful old boathouse was lifted off the pier, set on a barge while pier was built, stabilized and set back on new pilings! All new heavy duty electric service installed to provide four 30 amp service outlets. The cottage is an original with brick fireplace, wrap-around screened porches on waterfront and one side of house. This provides an instant opportunity to add sq. ft. and another bedroom. There is an original garage for great storage and a carport and driveway off E. Chalk Point Rd behind the house." "When you first pull into the driveway of this .92 acre property, you might notice how calm it all feels. 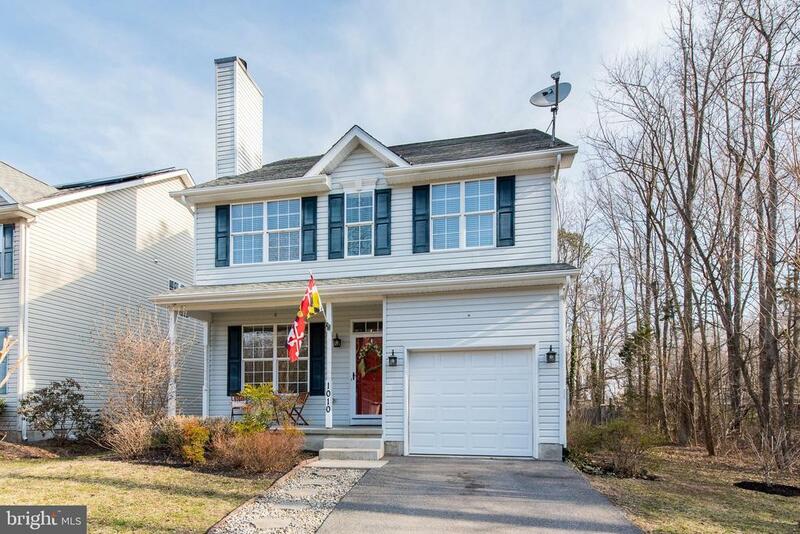 With beautiful wooded views, welcoming front porch and upper level balcony, this colonial style house brings on a sense of tranquility. Inside, the foyer is impressive, with its airy feel and two-story ceiling. One of our favorite features of this home is the kitchen, which is gorgeous in every way! Granite countertops, stainless steel appliances, desk space, lovely cabinetry and a large island--the works! We can almost smell Thanksgiving dinner.The main level also includes a private sitting room, separate dining room, powder room, and living room with a cozy fireplace. The layout for the main level also flows easily between the rooms, making it a gracious, comfortable place to entertain. Access to the level, shady back yard is just through the living room. On the covered back deck, it's easy to hatch summer plans for the space. Whether sipping an iced tea under the fan on a warm day or soaking in the hot tub on a starry night, this outdoor area will melt away the stress of your work day.Located on the second floor is the HUGE master suite. It features french doors leading to the second story balcony, and a large walk-in closet. The master bathroom has a jetted corner tub, separate shower and double vanity. Also on this level is the second bedroom, with another entrance to the balcony and another private bathroom with jetted tub. The third level includes a bathroom and two more spacious bedrooms, each with generously sized closets. This elegant, spacious home is convenient to local marinas and commuter arteries. Can you picture this gracious place as your forever home?" 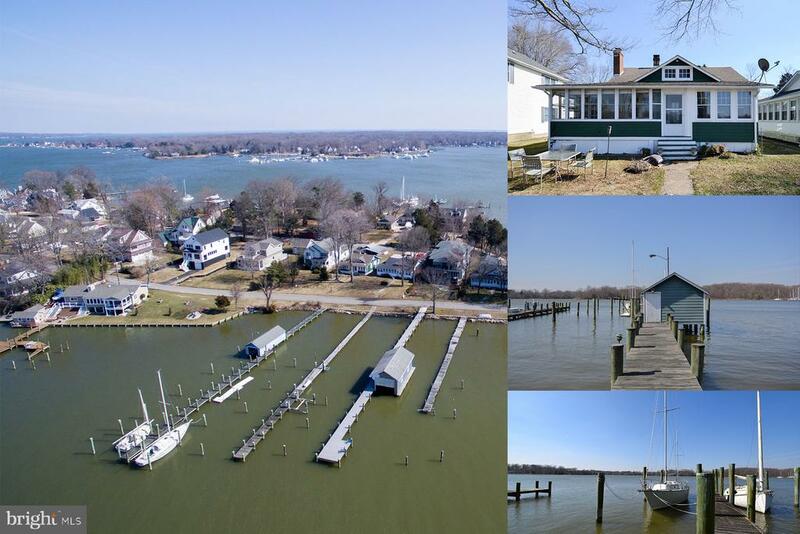 "819 Elm Drive is waterfront home on the West River with a private pier and almost 2500 square feet of living space. This four bedroom home has three full bathrooms and is situated on .44 acres with 80 feet of waterfrontage. 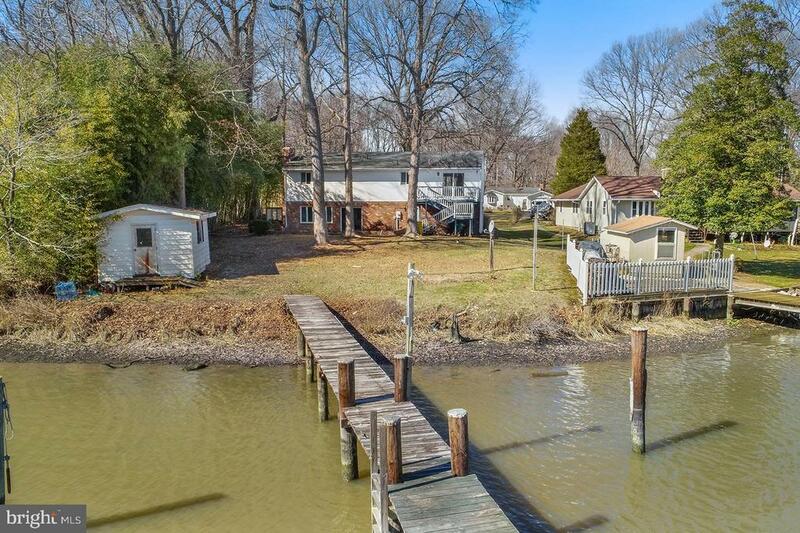 The pier has 4 ft of water depth and offers easy access to boating on the Chesapeake Bay.This home~s setting is perfect for creating your dream waterfront retreat by renovating or tear down and start new! Conveniently located in the Shady Oaks Manor community, 819 Elm Drive is in a great spot for boating and enjoying nature~s bounty.The main level of this home has a great flow with an open floor plan. Enjoy stunning waterviews from the great room that includes a dining area and living room with sliding glass doors to the waterside deck. The kitchen is located just off the dining room and has eat-in table space. Down the hall is the master bedroom suite with a private full bathroom. Also on this level are two additional bedrooms that share a full bathroom. The lower level has a family room, a fourth bedroom, and a full bathroom. This level also has a large unfinished space with sliding glass doors to the waterside patio. The possibilities with this space and the entire home are endless!" "Lovely home situated in water oriented community of Back Bay Beach, at the end of a quiet, non-through street. Enter to find a cozy living room with beautiful hardwood floors and wood burning fireplace leading to spacious light filled family room off eat-in kitchen featuring classic white appliances, ample cabinetry and counter space, breakfast bar and breakfast nook with sunny bay window overlooking sizable deck and fenced back yard with storage shed. Upper level features comfy sleeping quarters including tranquil owner~s suite boasting vaulted ceiling, walk in closet and attached full bath with relaxing, soaking tub, separate shower and double vanity. Easily access the river and bay with community boat ramp and boat slips are available to residents as well. Your search ends here!" "Opportunity knocks, this property has been reduced in price. When you step in you'll see the immaculate condition of this home. Pride of ownership really shows. Tastefully decorated, not a staging. Master bath was recently redone, jet tub, glass shower surround and more. Gleaming hardwood floors throughout. Walk-in closet in master bedroom. Very sizeable kitchen, with eat in area. A large rear deck, great for entertaining, cookouts or just a place to chill, or perhaps Al Fresco dining! Rear yard is fenced, with ample room for the family pet to roam. Property is served by public sewer. Nice tranquil views from the front sitting porch. Attached one car garage. 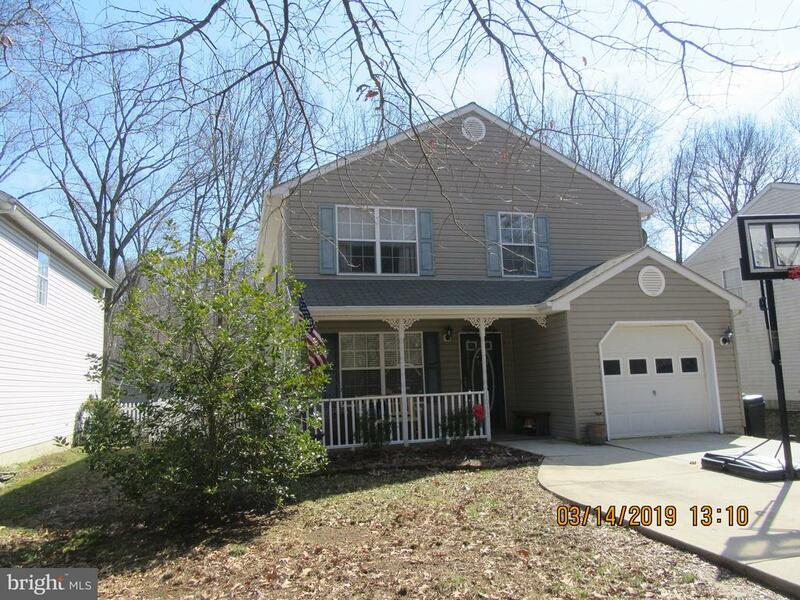 This home is being offered AS IS, with Inspections." "Priced To Sell Fast! Updated Cozy Bungalow In a Great Location in West River WATER PRIVILEGED Community! Large Kitchen with Vaulted Ceilings and Island with Eat In Bartop, GRANITE Counters and Stainless Steel Appliances. Updated Bathrooms, New Custom Paint Throughout, New Flooring Throughout that Complements the Existing Hardwood Floors, Wood Burning Pellet Stove. Huge Lot, Plenty of Parking for your Boat and Vehicles, 1 Block from Community Boat Ramp. Hurry This Will Not Last!~"